The November midterm vote has just ended, and already a wide field of potential Democratic presidential contenders for 2020 is coming into ever clearer focus. Whereas the 2016 Democratic field was nothing but a surefire way to crown Hillary Clinton, the 2020 Democratic primary is set to be just the opposite of that. At this point, some 30 names have been floating for a White House bid. 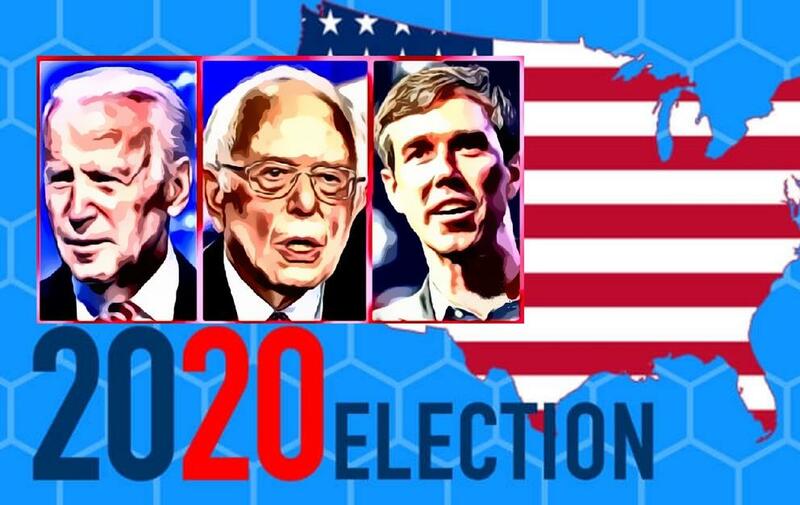 Top of the list on the minds of Democratic voters at this moment are the three B’s: Beto O’Rourke, Bernie Sanders and Joe Biden. A repeat offender just like Hillary Clinton who just last week said she “would like to be president” (prompting speculation she could look for a rematch with Mr. Trump), Mr. Joe Biden, who has already made two attempts to become the Democrat candidate and considered a third run in 2016, has said he will make a decision on whether to run a fourth time in the coming weeks. His chances at this point look ok, but not as hot as the other two top contenders. Furthermore, John Kerry, who lost a bid for the presidency in 2004 and has recently published a memoir, has also not ruled out running. Besides, it would seem in this current climate that anyone associated with the Obama administration would be attacked over the lackluster performance of the US economy during those 8 years, at Trump has shown you could indeed get to 3-4% GDP growth. The Senator from Vermont, who lost the 2016 primary to Hillary Clinton, is considering to run again, but of course, that would risk losing the center ground for Democrats. As Sanders runs on what some see as a ‘socialist’ platform and none of those political parties in Europe or countries ruled in that manner have had any good news to report in the past two years, he might have to come up with another plan altogether. The biggest hopeful of all at this point may be Beto O’Rourke, who, despite losing his bid to represent Texas in the Senate, is still considered a contender — particularly given his fundraising prowess and the fact that he could draw in the younger crowd easily. In that respect, Sanders will ultimately be seen as a sellout. Can wait for the backstabbing and mud slinging from these three.